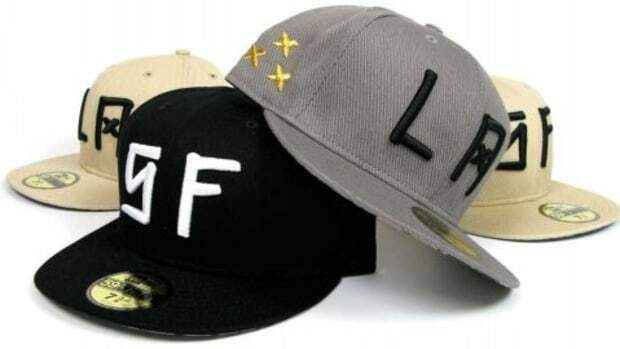 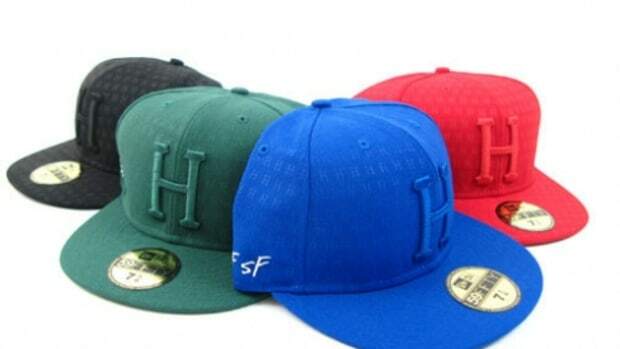 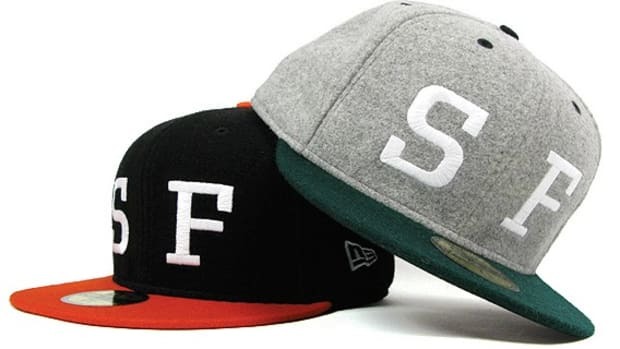 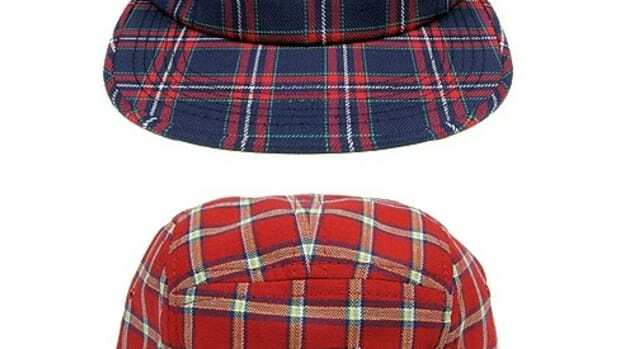 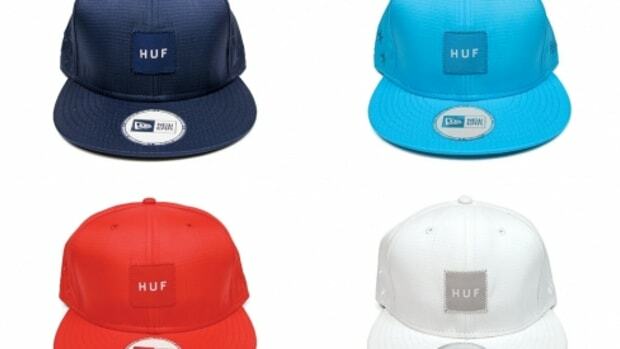 San Francisco based, HUF, is back at it with their collaboration series of caps with New Era and this time the product is one of the better ones we&apos;ve seen from one of the original brands that started collaborating with New Era. 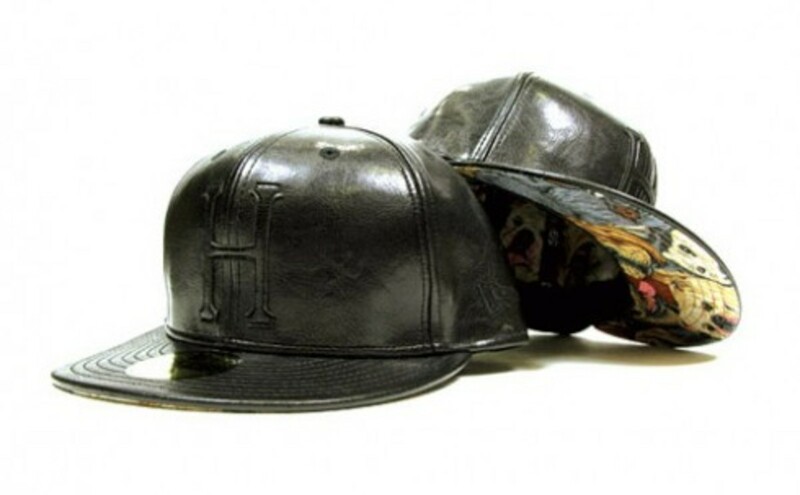 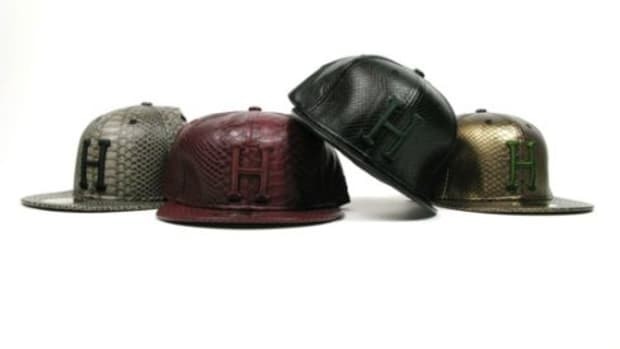 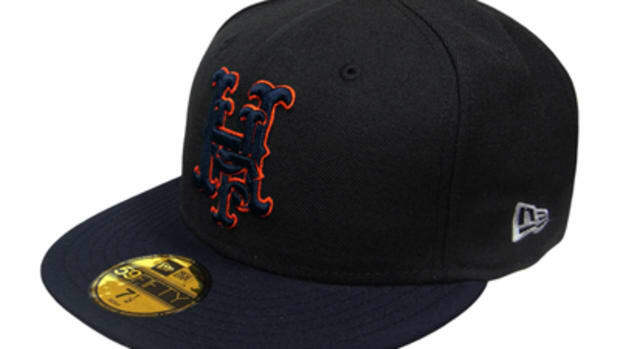 This 59FIFTY fitted cap by New Era comes in all Black leather on the outside with the traditional "H" for HUF on the center panel while the underbrim and inside of the hat features a painted graphic of dogs that may have taken some inspiration from Cassius Marcellus Coolidge. 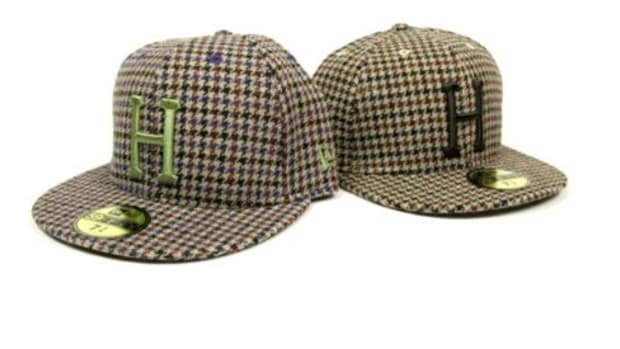 The hat drops tomorrow, Saturday, December 6th at HUF SF and HUF LA.